Ask about our punch card. Buy 10 coffee drinks and the 11th coffee drink is FREE! Espresso, steamed milk and froth. Our strongest Espresso with sweetened condensed milk. Espresso, Ghirardelli mocha and steamed milk. 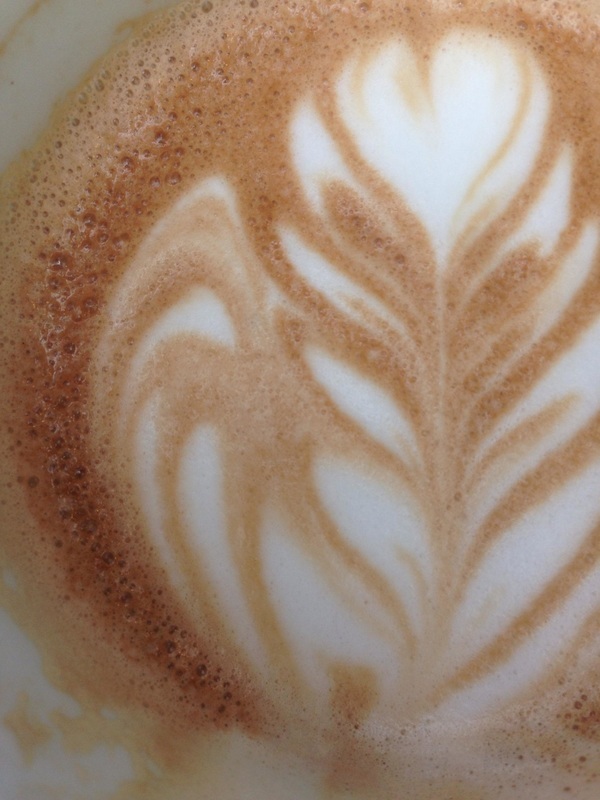 Espresso, steamed milk and your favorite syrup by Torini. Espresso, Ghirardelli Caramel and steamed milk with whipped cream. Sugar Free white chocolate and Sugar Free vanilla made with skim milk for a light delicious drink. Steamed milk and your choice of syrup. Club soda and your choice of syrup for a refreshing fizzy old fashioned soda. Club soda and your choice of syrup with heavy cream. Lemonade with a splash of Raspberry or Strawberry. 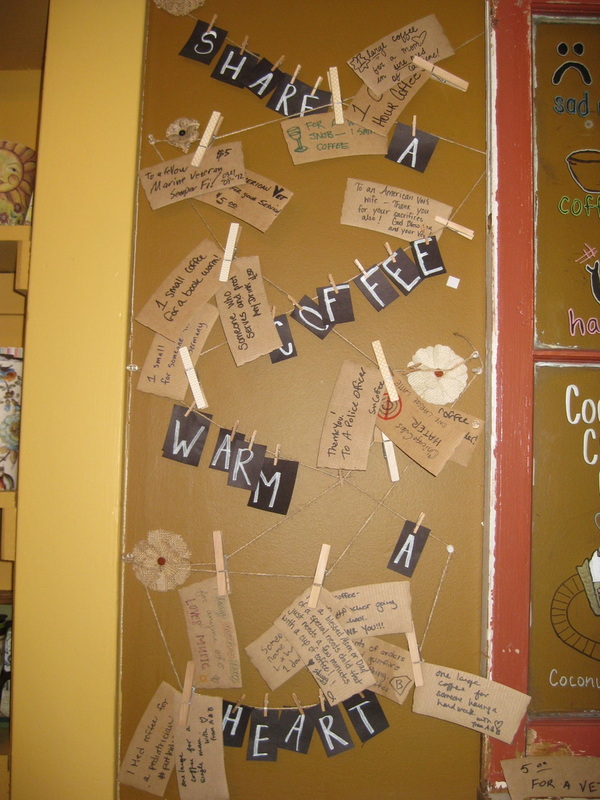 Share-A-Coffee wall. 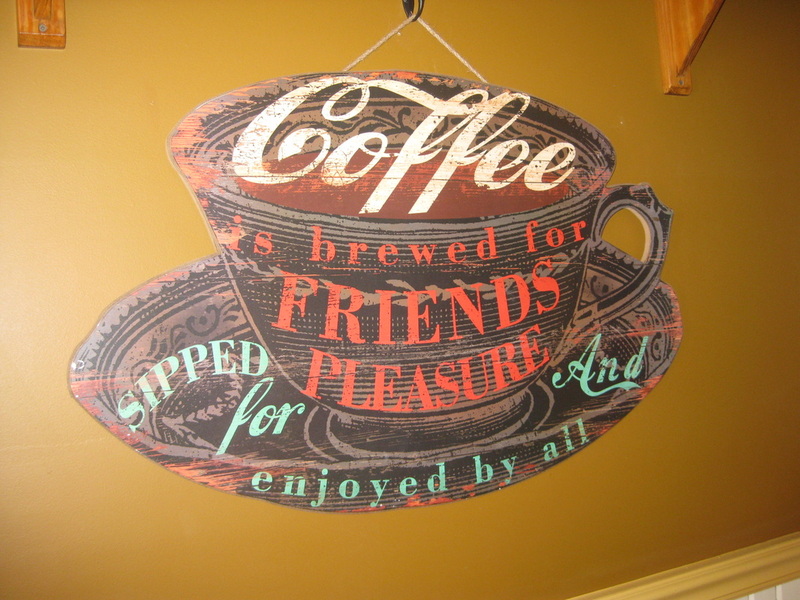 People pay it forward and buy coffee and other goodies for others. Tropic, Pineapple Paradise, Orchard Apple. Ja Mocha - Regular and Decaf. A blend of Ghirardelli rich cocoa combined with a deep dark roast Colombian coffee. Distinctive deep vanilla taste. Add your favorite syrup to create a great shake. When you want to add a little Funk to your step. Peanut butter, chocolate and banana blended to perfection. An Espresso Laine Specialty! Espresso, milk and Ghirardelli chocolate. Topped with whipped cream. An Espresso Laine Specialty! Espresso, milk and Ghirardelli caramel. Topped with whipped cream. An Espresso Laine Specialty! Espresso, milk and Ghirardelli white chocolate. Topped with whipped cream.